On Independence Day Eve, the Bisons had a late-inning rally fall short in a 6-3 loss to the RailRiders from Coca-Cola Field. Reese McGuire had two of the Herd's five total hits. In the sixth, the Bisons started to chip away at the RailRiders' lead. This came after Buffalo registered just two hits in their first five turns at-bat against Luis Cessa. The Herd had runners on the corners with one out and Rowdy Tellez, who has hit well against the RailRiders this season, knocked in Tim Lopes from third. The deficit was shaved down to one run after Danny Jansen reached base on a fielder's choice. Roemon Fields scored on the play. After the Bisons got within one run of the lead, the RailRiders kept the pressure on by scoring two runs in the seventh. The Herd was one strike away from getting out of a bases-loaded jam, then Rey Navarro, who hit a home run earlier in the game, slashed a two-RBI single to extend the RailRiders lead to three runs. The inning ultimately foiled the Bisons' comeback attempt. After a multi-hit game Monday night, McGuire continued to produce at the dish. In the third, the catcher sent a deep fly ball to right-center field that dropped in for a hit. McGuire hustled to third base for his first triple of the season. Then, in the seventh, he barreled up a pitch that hit off the base of the right-field wall for another triple. "[I] was just trying to get a good pitch to hit," McGuire said post game. "Sometimes your plan can change but that's something you can control. And so, if you just try to stick with something and believe in it, and if you don't succeed in that at-bat, don't all of a sudden change." "As a team, we are always going to feed off each other's aggressiveness." 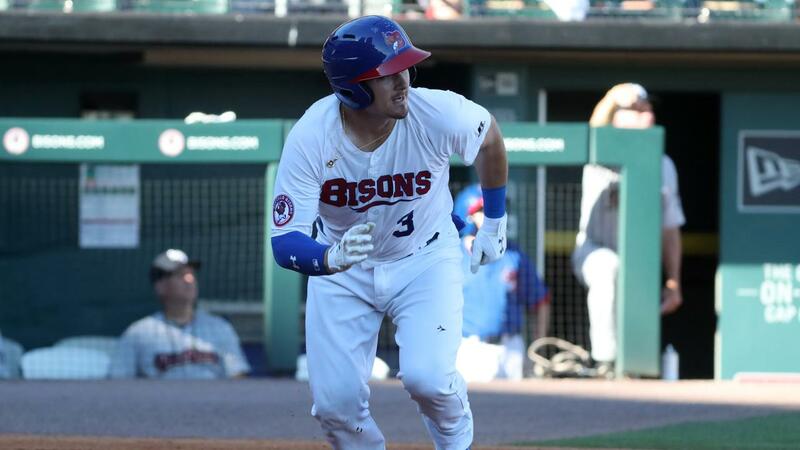 The last time the Bisons had a player hit two triples in one game was in 2014. With the two extra-base hits, McGuire became the 19th player in the modern era of Bisons' history to record two triples in a game.